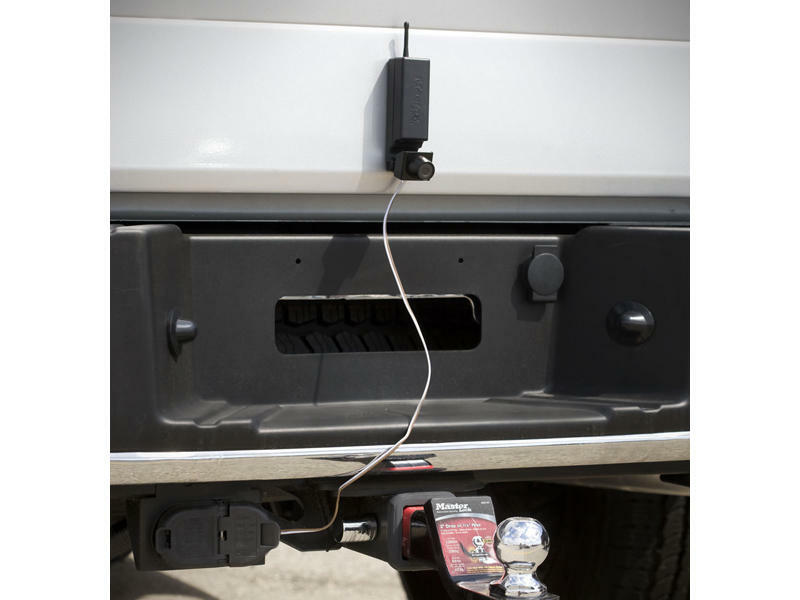 The Master Lock Hitch Alignment / Back-up Camera installs in seconds by sliding into the 1¼" or 2" hitch receiver tube. The magnetic base allows it to mount to metal surfaces. 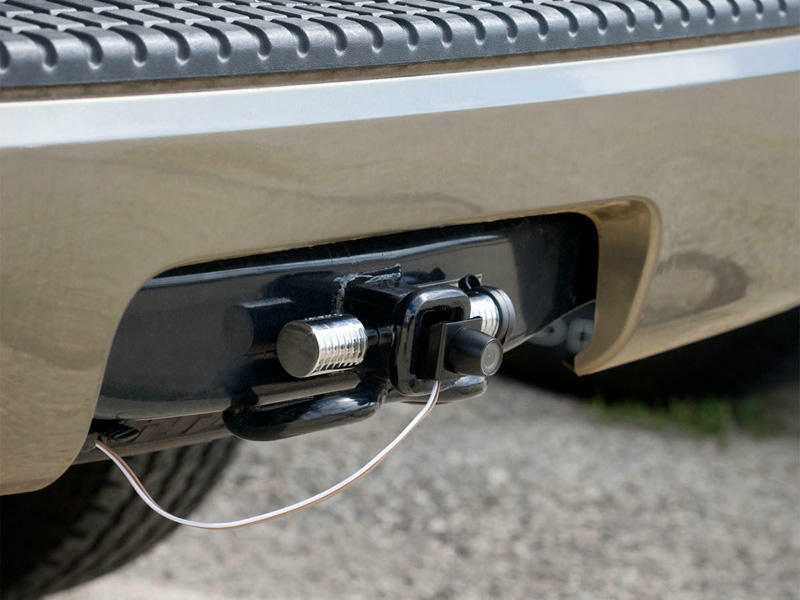 The camera plugs into the tow vehicle's 4-flat electrical plug. The 3½" color monitor has a reception range of up to 50 feet at 2.4 GHz. 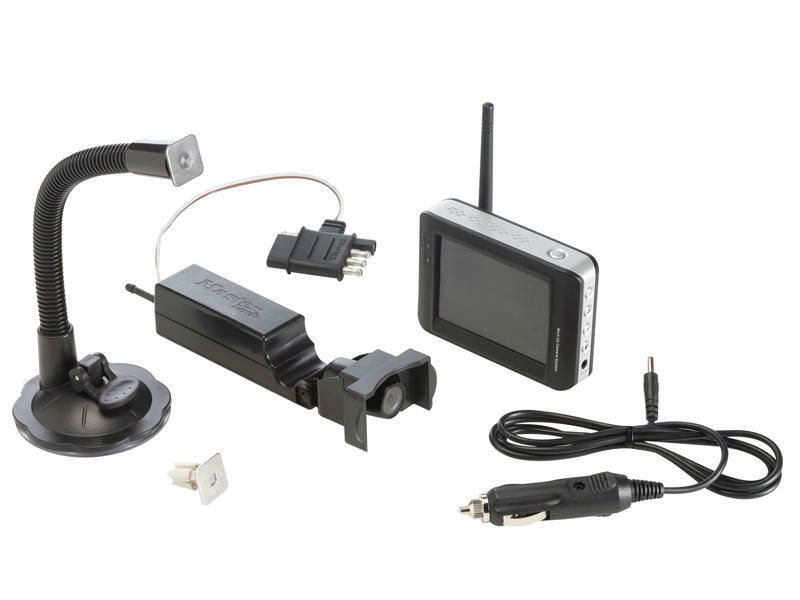 The monitor can be mounted most anywhere inside the vehicle and plugs into the auxiliary power or cigarette lighter plug. No batteries required.